Sheer abandonment. That is how I would describe my day. I forget how kids play with abandonment, especially on those lazy, hazy, crazy days of summer. I spent my morning/afternoon with the Vargas clan, swimming like wild monkeys. hmm, that analogy is a little weird, but I will just leave it for your kicks and giggles. Right. Swimming like wild monkeys and trying not to drown as four children pounce on me. Then we got out after 3 hours and decided it would be a great plan to take a walk to the neighborhood park, where we swung and had ourselves a jolly good time. And then, we made Peanut Butter Pie. Devine. Mostly like the one my sister posted about at "Sugar and Butter," except mine is more of a "use what you have," kind of recipe, so it included 4 spoonfuls of peanut butter, to use it all up, and cool whip, to keep it light and fluffy. I left Mrs. Angela a piece in the fridge. But then I remembered she is Mrs. Healthy now, so I might have given the kids permission to sneak it away. Maybe. I don't want to be a temptation now, do I? Then we all snuggled into bed so I could see the DVR'd episode of Jon and Kate Plus 8, which was rather lame this week, but the bed was moy moy relaxing, and I made a beeline for my home soon after. Ian wants me to watch the Magic game, but let's face it, I'm really not interested. Also, I have come to terms with the fact that my eyelids are drooping down to my knees due to the exhaustion. And, I am so tired I will not even spellcheck this post. Or apologize for not spellchecking. So there! Oh, to be able to live and play with the wild, carefree abandon that these kiddos do. 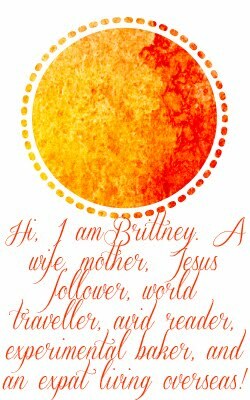 Hey Brittany, I had to edit my last blog post, because I'm not sure if it's going to work for me to do the study after all - I'm kind of disappointed, but maybe I still can - I will let you know! Anyway, I'm still directing people to your blog in case they are interested, and I'll join you if I can! It's crazy how energetic kids are sometimes, huh? I don't know how they do it - I don't remember ever being that energetic - or maybe I do! Just stumble across your blog and I love it! Got yourself a new reader! Have a great week. I love the energy that radiates from childre - as tiring as it can be. I would love to have it back!